Grace Linn has outreach ministries that reach locally and abroad. UNITED METHODIST WOMEN ~ UMW meets on the monthly with a short business meeting followed by a program and refreshments. BREAD MINISTRY ~ We are fortunate that an overage of bread is shared with us for distribution. Bread is sent home discreetly in backpacks of local high school students, supplements the elderly and congregation, and is utilized at our community lunches. COMMUNITY LUNCH PROGRAM ~ Mid-September to mid-May, we serve a free hot community lunch to anyone who desires a warm meal. We have watched this ministry grow over the last few years. People come for various reasons besides the meal; the friendships, enjoying a board game, a warm place to gather on a snowy day. Meals are nourishing and bring thankfulness and joy to many. GRACE LINN KIDS MINISTRIES ~ The God Squad supports various missions. 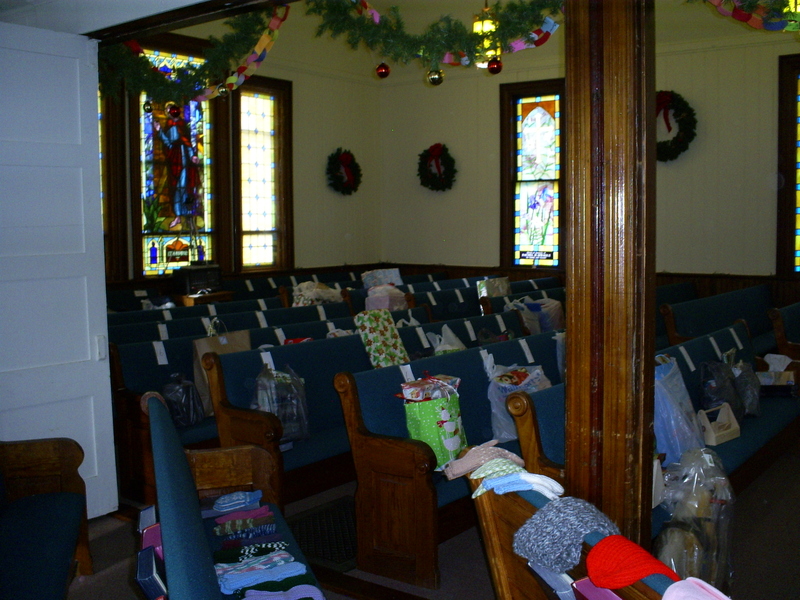 The popular ones are the Heifer Project, our local food cupboard and our local animal shelter. 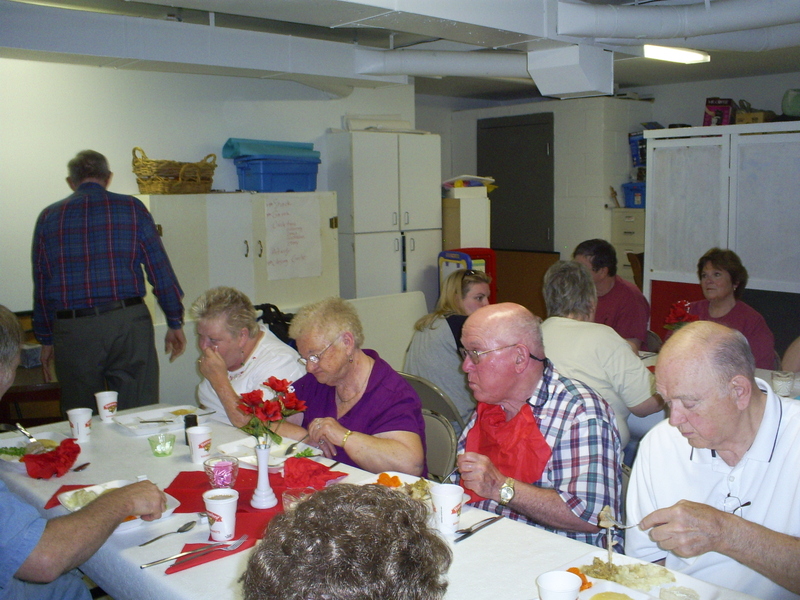 FREE THANKSGIVING DINNER ~ Each Thanksgiving, Grace Linn hosts a free Thanksgiving meal for the community. We serve turkey with all the trimmings! 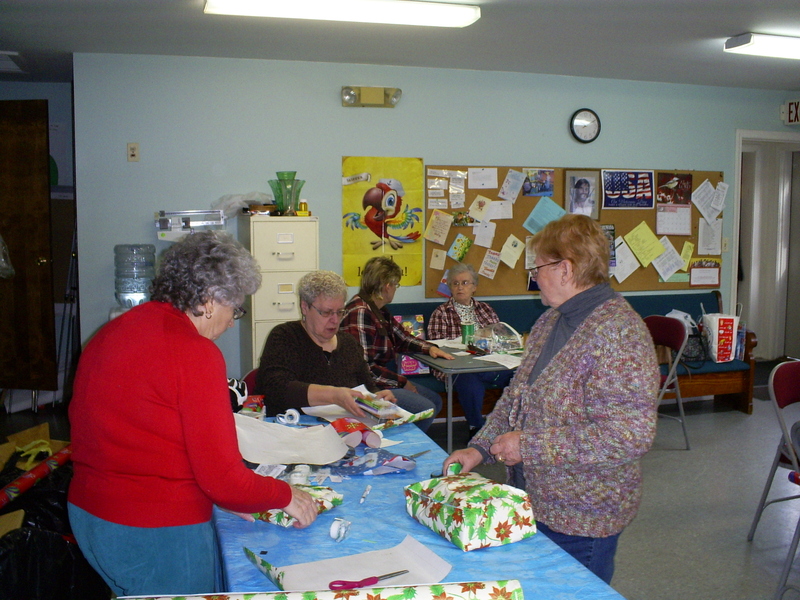 THE GIVING TREE ~ Many angels shop, wrap, and deliver Christmas presents to the less fortunate children in the area. Children's names are submitted to the church office and thru the generosity of many, these children have gifts to open Christmas morning. BOX TOPS AND LABELS FOR EDUCATION ~ These are collected and given to the local schools. This enables the schools to purchase equipment. PRESCRIPTION BOTTLE MINISTRY ~ We collect empty prescription bottles which are recycled into a necessity for the troops. The bottles are sent to an out-of-state volunteer who fills them with soap, shampoo, and hand cream.